Over a wet and windy three-day period on the ITER site in November, around 90 representatives of the ITER Organization, the Domestic Agencies of Europe and Japan, and industry came together for the second ITER Remote Handling Progress Review and Standardization Workshop. From 22 to 24 November, experts in remote handling met to compare notes on progress in the development of remote handling systems for ITER. Building on the success of its predecessor, held in Barcelona in 2015, this workshop provided a rare opportunity for industrialists, researchers and system integrators currently working on ITER remote handling systems to identify opportunities for collaboration and cross-fertilization between as many as six different ITER procurement packages. It also gave this rapidly growing ITER community the opportunity to compare notes and combine efforts on common technological challenges such as the cutting, welding and non-destructive testing of a multitude of ITER in-vessel cooling pipes. Participants were welcomed by the director of ITER's Plant Engineering Department, Sergio Orlandi, and the event program was managed jointly by members of ITER's remote handling team and the remote handling project team of the European Domestic Agency. During the event, the organizers outlined the current status of the ITER Project as well as important recent decisions regarding plans for assembly. At the same time, lead suppliers were able to demonstrate their progress on five major systems already contracted, namely the remote handling systems for maintaining ITER's blanket, divertor, port plugs and neutral beams, plus the in-vessel viewing system that will help operators carry out visual inspections inside the machine. About 50 attendees of the Remote Handling Progress Review and Standardization Workshop were able to participate in an ITER site tour and see where ''their'' remote handling systems will be located. A major proportion of the event was dedicated to allowing a number of laboratories and small and medium-sized enterprises to showcase their latest technological developments in fields of common interest to the entire remote handling community, such as radiation-hard electronics, cameras, control systems, condition monitoring and water hydraulics. It was clear that all of these latest developments are showing great potential for some level of in-field deployment within the ITER timeframe. Finally, a vision of remote handling challenges after ITER was provided by Tony Loving of UKAEA-RACE, who leads the EUROfusion DEMO remote maintenance project team. The talk highlighted the even greater remote handling challenges that will be faced on the road to a fusion power plant, while at the same time illustrating just how important the success of the ITER remote handling program will be for the long-term future of fusion power. 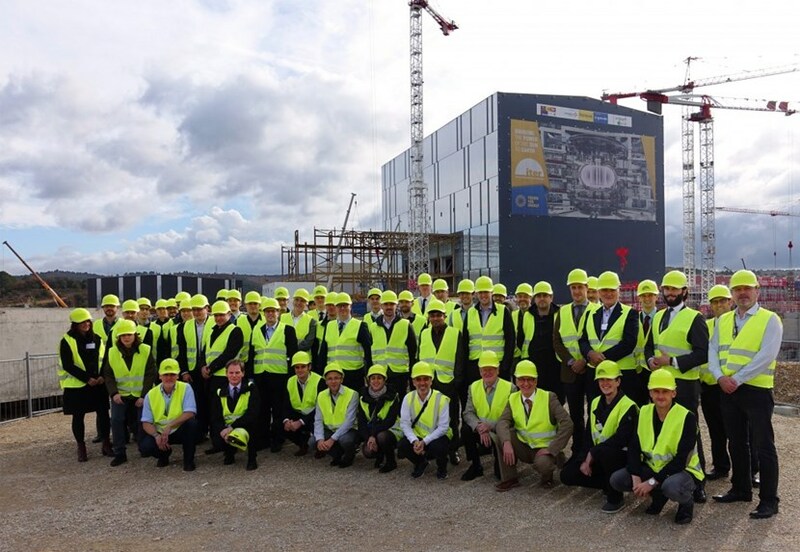 Thankfully, the rain stopped just long enough for 50 of the delegates to tour the ITER construction site to gain some insight, "in concrete terms," of where remote handling systems will be accommodated in the ITER buildings, from initial integration in the mid-2020s to their long-term operation right up to the end of the ITER Project. 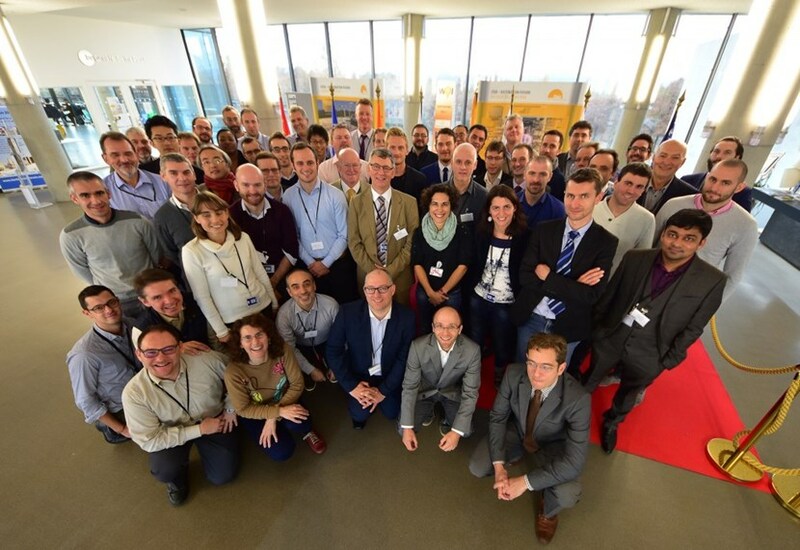 Once again this initiative to bring as many of the current ITER remote handling protagonists under one roof to meet face-to-face and share ideas was highly supported by all attendees. This was particularly true for lead suppliers, since it gave them an opportunity to seek synergies with those supplying other, similar systems and provided food for thought on new developments which, up to now, may not have featured in their developing designs. Throughout the workshop there was the air of engineers getting down to business, rather than companies seeking business, which was exactly how the event was meant to be.